Blue Jeans Metallic exterior, Lariat trim. EPA 26 MPG Hwy/19 MPG City! Heated/Cooled Leather Seats, iPod/MP3 Input, Bluetooth, CD Player, Satellite Radio, Aluminum Wheels, Hitch, Back-Up Camera, Turbo Charged Engine. AND MORE! 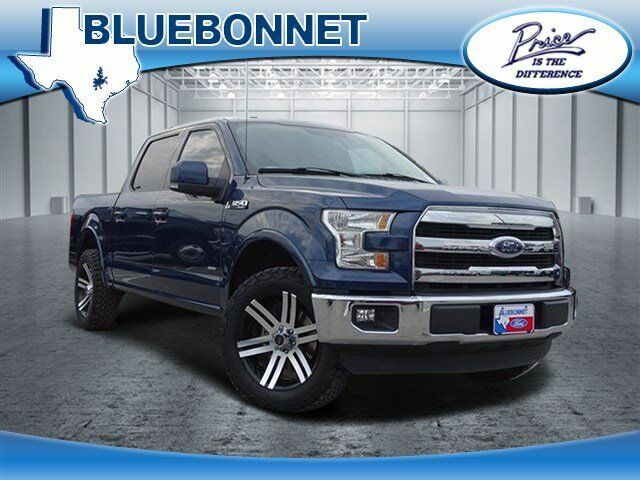 Leather Seats, Heated Driver Seat, Cooled Driver Seat, Back-Up Camera, Turbocharged, Satellite Radio, iPod/MP3 Input, Bluetooth, CD Player, Trailer Hitch, Aluminum Wheels, Keyless Start, Dual Zone A/C, WiFi Hotspot, Heated Seats. MP3 Player, Keyless Entry, Privacy Glass, Steering Wheel Controls, Child Safety Locks. Edmunds.com explains "Everything in the interior is ergonomically designed in such a way that there's a padded armrest exactly where you'd want it, and frequently used controls are located right where your hand would instinctively reach for it.". Great Gas Mileage: 26 MPG Hwy.